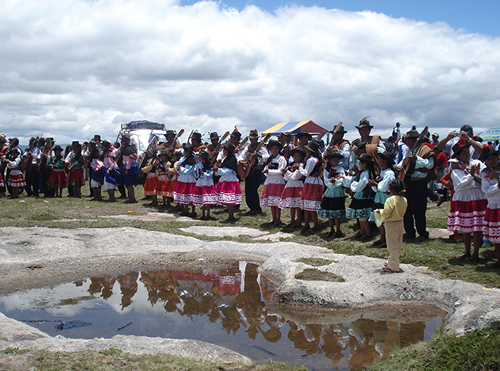 The Society for Ethnomusicology and Smithsonian Folkways launched From the field, a series of multimedia reports for the online Smithsonian Folkways magazine, in July 2013 with Carnival of memory: Songs of protest and remembrance in the Andes by Jonathan Ritter. Co-produced by Smithsonian Folkways and SEM, this peer-reviewed series presents recent ethnomusicological field research to a general audience. Reports combine audio and video recordings, photographs, and narrative to explore music-making and social issues at locales around the world. Thank you for featuring the From the Field project! I was very glad to see it on Bibliolore.